As we all wait patiently for news on Star Trek 2017 all we can do is speculate. We now know who the main writers are going to be. We welcome Star Trek alumni Bryan Fuller as a show runner and Nicholas Meyer from the Star Trek films to the writers room. So far though we’ve been given only rumours and hints at what this new series will be, when and where it will be set. The consensus seems to be that this new series will be set in the prime universe. There are several reasons to believe this. As we’ve mentioned in previous articles it’s very unlikely to be set in the JJ Abrams reboot universe for legal reasons. Paramount own the movie rights to Star Trek and CBS retain the Television rights. This means that even if they wanted to make a series set in the new timeline they would have to make a deal with Paramount. A deal that wouldn’t be in CBS’s financial interest. This is a good thing as it means CBS are in a position to realistically do two things. Set ST17 in the original canon universe or create their own new, new timeline. Creating another new timeline makes absolutely no sense as they should know that they have already alienated millions of fans with the reboots. For the money it makes sense to stick to the canon universe. There have been many rumours lately suggesting that ST17 will be set in and around 2293 in the Star Trek timeline. Just to give you an idea that’s the year Star Trek VI: The Undiscovered Country and the prologue of Star Trek Generations are set. 69 years before the first episode of Star Trek the Next Generation, which is 2364. The reason for this speculation comes from a Nicholas Meyer interview with Den Of Geek in which he mentions Brian Fuller seeing Star Trek VI as a jumping off point. This could mean a variety of things. Fuller could simply mean this tonally. The sense of adventure and the slightly darker Star Trek, less glossy and shinny as TNG or Voyager. The Star Trek 2017 Crew? It would however be a great time period to set the series in as it’s a mostly unexplored era and would knit the gap between the adventures of the original Enterprise’s crew and the Next Generation. The Undiscovered Country sets up a very interesting universe. Peace with the Klingon Empire has just been signed. 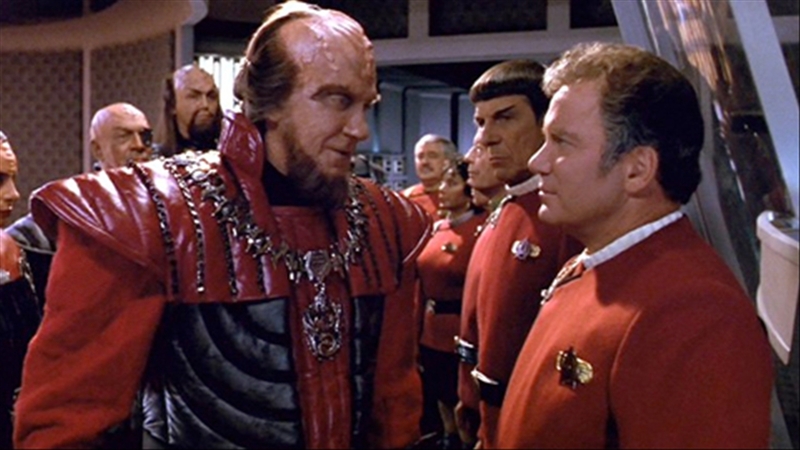 A peace treaty like this has ramifications throughout the whole of the Federation and Klingon Empire. It could make the Empire look weak to it’s enemies and as some of you may know that Klingon Empire is a massive sector of space made up of many worlds and many species not just Klingons. This could create problems with colonies and occupied worlds and many conflicts of interest, rogue Klingon Generals and Captains who don’t agree with peace stirring up trouble. It is an interesting landscape to set a series in and to create situations that could bring back the social commentary and heart of Star Trek. Plus those burgundy red uniforms and the ship designs and technology of this period are awesome. There is one problem here however. 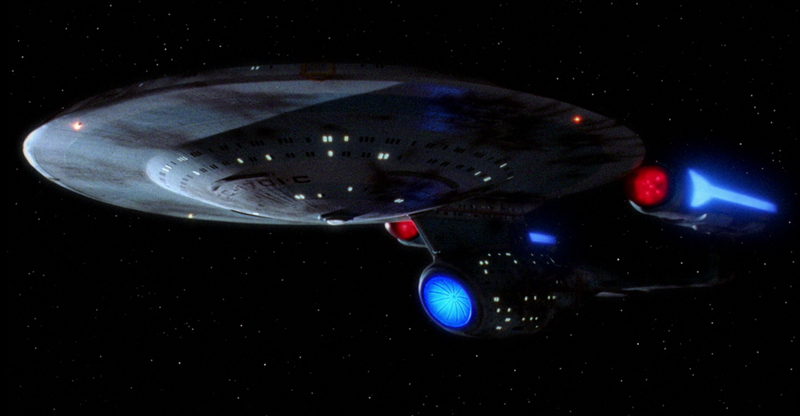 It means that to keep it canon the show can’t be set on an Enterprise as we’ve had glimpses of the Enterprise B and their crew in Star Trek Generations and the Enterprise C in The Next Generation episode “Yesterdays Enterprise“. This means the writers will have to be true to canon events of the time period and set the show on a different ship. We could simply get the continued adventures of the Enterprise B with a now experienced Captain John Harriman played by Alan Ruck. This is a large 69 year time period for the writers to play with which leaves plenty of room to create new and interesting stories without repeating what has come before. Ever since it was announced that we would be getting a new Star Trek Series in 2017, everyone has suggested that Star Trek will move to a more modern television format. For one, CBS are using it as their flag pole for their All Access on demand subscription service. Most likely we will not be getting 26 stand alone episodes with the odd two parter like the last few incarnations. It’s been heavily speculated that we’ll more likely get the Netflix format, 10-13 episodes that tie in together and follow one main story like a broken up long film. However a new rumour has hit the internet this week which suggests that Star Trek 2017 will have each season as a standalone anthology. Not unlike “Fargo” or “American Horror Story”. This would mean each season would have a new ship and a new crew or at least a new setting and each season could potentially jump to various timelines. This is a good thing and a bad thing. It opens the show up to be set in any timeline from First Contact all the way up to life after the Dominion War and the return of Voyager. The negative side is that audiences will find a ship and crew they love only to never see them again except maybe in a cameo. This latest rumour came from BirthMovieDeath.com who don’t sight their sources but claim to have inside information. What would be your ideal setting for Star Trek 2017? All we can do now is wait and hope that no matter what timeline the series is set in that it truly is Star Trek in feel and setting. That the characters are interesting and the stories are compelling and make you think in a way only Star Trek can. Here’s to real Sci-Fi and less nonsensical action. To adventure and hope and a strive for human evolution and progress. Here’s to Star Trek may it live long and prosper. January 2017 is the expected release date for the new series.